Retailers selling alternate console for an additional £20. 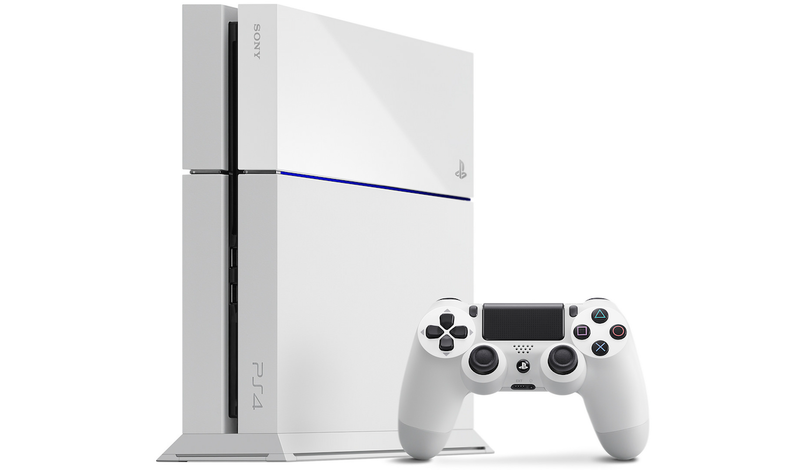 The glacier-white PlayStation 4 will ship in the UK on Friday October 17, Sony has confirmed. Retailers appear to be offering these systems at a slight increase in cost, selling each 500GB unit for about £350. These come with a custom white DualShock 4 controller too, as well as all the additional cables and materials that come with the standard black PlayStation 4 console. Though there has been no "official" price drop for PS4 and Xbox One, both consoles now sell at a lowered price in the UK, at £330 each. It is not clear whether white PS4s will be sold across North America. Previously, these systems were only available to purchase in bundles, with games such as Destiny and DriveClub. A white PS4 will also feature in a Far Cry 4 bundle due to launch across the UK in November.